Okay... here we go Saturday findings! 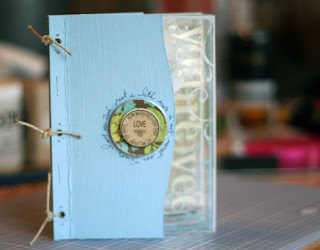 1 - Ali Edwards has this mini project on her blog that I just fell in love. I seem to be scrapping mini albums as of late. I just can't get enough of them. It also takes care of the mass of pics that I take per occasion and regardless of if they are good pics or not feel the need to scrap them anyways.....LOL This is a transparency mini album... just gorgeous. If you want a copy of the intructions I have saved them to a word document and can e-mail them to you!!! 2 - HURRY HURRY.... Blueprints has a call out based on a wack of sketches.... They just added four more last minute. You can find the sketches here .... the due date is 30 Apr 07. 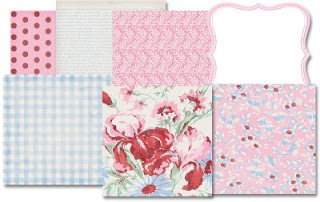 3 - I found this mini project on the Around the block blog ...... how absolutely fun... my girls would go nutso for these. This is even easy enough for them to try themselves... may be a bit... errrrr distressed and texturized that shown here but fun just the same. 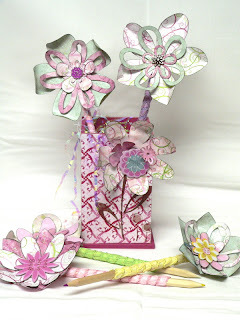 LOL Good way to use up those scraps!!!! You can find the instructions here ... or again you can e-mail me and let me know if you want the word doc that I have saved!!! 6 - I love puzzles and mind bogglers.. I especially love BRAINGLE I love getting their daily puzzle. Here is todays. 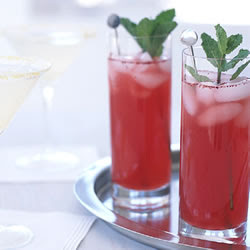 7 - Doesn't this look absolutely refreshing? I love Rachael Ray and the recipies she comes up with. If you haven't checked out her site. do yourself a favour and be sure to take some time to do it. In the meantime, you find the receipe for this yummy looking drink here... ENJOY! 10 - Becky Fleck is making an online stop over at Memories from Scrap, a site that my girl Lucy owns. Be sure to check it out 02 May 07 at 2100 EST and stop in for a chat! My scrap friends are at it again. Di and Lucy have been working together on sketches and ideas. Here is their latest creation. 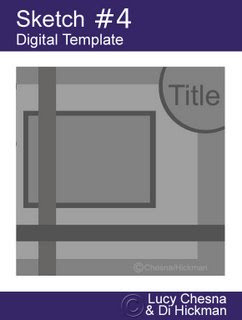 For you digi scrappers you can find the digital templates here... Be sure to give credit where credit is due! So glad your back home with your family...and I'm jealous, I want that kit! You find the coolest things girl, I can't believe it, so resourceful!!! I love some of this stuff!